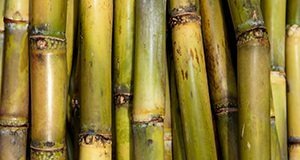 Potassium is a primary plant nutrient that is required in large amounts by sugarcane. About 74% of the 400,000 acres of Florida sugarcane is grown on organic soils in the Everglades Agricultural Area. Potassium is not a component of organic matter and virgin Histosols contain very low concentrations of K, so release of K through mineralization of organic matter in these soils is not an adequate K source for plant growth. This 7-page document presents revised potassium fertilizer recommendations for sugarcane grown on Florida organic soils along with supporting information. Written by J. Mabry McCray, and published by the UF/IFAS Agronomy Department, February 2019.